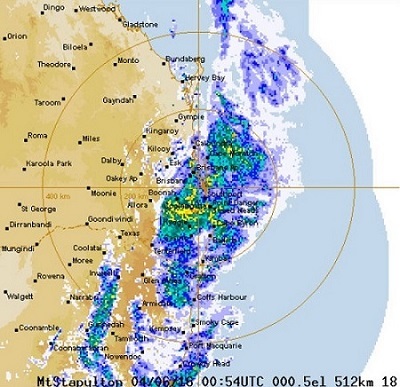 While we got 171mm, the top fall around here was 423mm at Springbrook in the Gold Coast hinterland. The image was similar to one I had on file from May 2009. My records show that back then we had 461mm (that’s over 18 inches in the old money) in 27 hours. From memory in August 2005 a low started around Adelaide and ended up around Rockhampton. Last May we had 232mm in a couple of days. And I recall huge downpours in winter back to the 1960s, when the Brisbane racing carnival had 11 inches dumped on it. They seem more frequent now, and a pattern is emerging that it is often persistently dry or quite wet. So whether what we are seeing is climate change is for the climate statisticians and modellers to contemplate, but it fits the song sheet perfectly – a couple of dry months, followed by a flood, and a warning for anyone who owns coast-hugging property about what sea level rise can do. an estimated 711,000 residential addresses located within 3km of the shore and less than 6m above sea level – not to mention the billions of dollars’ worth of government infrastructure also located in these regions. 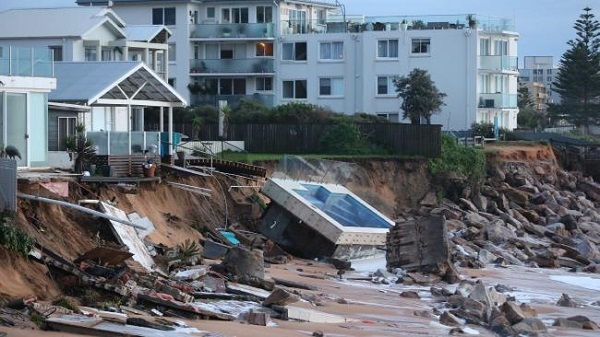 And that Sydney beaches eroded up to 50 metres in some places. It seems that the house may not be covered in many policies and even if it is, the land would not be insured. Radio National’s The World Today had three items on the issue. In the first we are told that seven homes may have to be partially dismantled. In the second, we are told that insurance tends not to cover what’s known as an act of god, or an act of the sea. Also Kate Mackenzie of the Climate Institute says that banks should take a stronger role. They won’t lend unless a property is insured, but mere house insurance is not enough. In the third Professor Barbara Norman, chair of urban and regional planning at the University of Canberra, says that the states are ultimately responsible for planning legislation. They tend to shuttle the responsibility off to local government. if you look at what’s happened over the last few years, possibly five years ago we were nearly at a point where we were starting to get some good coastal planning happening around Australia and some national coordination. In more recent years we’ve seen a winding back of that and very significantly and, very relevant to the floods on the weekend, a winding back of coastal planning controls in Queensland and in New South Wales. She says that population is likely to grow to 40 million by 2050, and much of that on the eastern seaboard. This together with climate change makes a very significant public policy issue. In other countries like the United States they have their own well funded National Ocean and Atmospheric Administration (NOAA), and I could say other examples in other countries. In this country we don’t have anything, we don’t have a national coastal plan, we don’t have a national coastal strategy, we don’t have a national framework which encourages ministers to work together to support State Governments and local governments. Then she blasts the CSIRO for sacking all those scientists who would produce the data we need. There was not a flicker of concern about climate change in the reactions of Turnbull and Shorten. Peter Lewis at The Drum says you would think the ‘stormageddon’ would be a circuit breaker to inject climate change into the centre of the election campaign. But it hasn’t. He points out that according to this week’s Essential Report there are still 28 per cent of the population who class themselves in the “business as usual” category, that is they think we may just be witnessing a normal fluctuation in the earth’s climate which happens from time to time. Some 13% don’t know, so that leaves 59% believers. In LNP voters the ratio of believers to denialists is 45:42. Other voters are more sensible, especially the Greens. Elsewhere The Guardian has a picture gallery of what warming is doing to the planet. From a North Queensland perspective we have suffered massive insurance hikes of up to 400% (sic) over the past few years. Apparently justified by the underwriters as appropriate for the risks of doing business up here. There has been a long and bitter campaign to moderate the costs. The usual inquiries and government involvement has not been very helpful to date. I guess it follows that southern rates could rise significantly if their rates are based upon the northern model. Prof. Jon Nott of JCU Cairns has been drawing attention to the poor planning and siting of infrastructure in Queensland for many years. 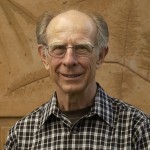 Prof Nott has written many papers on natural hazards. Yet despite his very considerable knowledge, government seems to not heed warnings. Prof. Norman points to State governments tendency to point to local government as holding responsibility. This is easy for the State. The pattern is that if something works it is a triumph for the State government and if it fails, blame local government. Never mind that local government is very much owned by the State. The State oversights all Planning Schemes and often directs parts of the drafts. If a Queensland Council determines that a parcel of land is no longer suitable for development (say sea level rise) then it can look to re-zoning that land. But the Council in doing so may devalue that asset and be liable for compensating the owner. And if the Council approves the site for a dwelling and the home is flooded, Council may well be in the firing line again. The State deflects liability to the local government. Action might be triggered by the refusal of insurance companies to insure properties at very high risk or maybe by placing serious limits on their liability. That would likely depreciate the value of many properties but it might avoid a claim against the public purse. Another might be to tighten building regulations so that, for example, if an area is prone to inundation, that building is high set, and waters can flow underneath, reducing damage. Geoff, insurance is certainly going to be a problem. I recall hearing talkback on the radio from a business in the Whitsundays where the insurance had hiked 300% even though they had just survived unscathed a severe cyclone. Insurance companies back themselves with something called reinsurance. I once had shares in QBE and bailed out when I learned that their profits were affected by Hurricane Mitch in 1998. Munich Re is a specialist in this area and is said to have the best database of severe weather events in the world. Their MD visited once a few years ago and I remember him as having a PhD in atmospheric physics. The insurers seem to be building in a fair margin for error. Over time they’ll make money, but there will be some risks they won’t cover, and property owners can’t expect to be bailed out by government disaster funding.